The second most populous country, with multiple religions thriving, India is an incredibly diverse and vibrant country. From bustling cities to quaint rural areas, snow capped mountains to beautiful beaches; from the famed Taj Mahal to numerous historical monuments, India has mystified and fascinated visitors for centuries. Even though India is going through a rapid change, India being one of the fastest growing economy, it faces the challenge of increase in poverty, with widening gap in the rich and poor class. India with a population of 1.2 billion, 45% of which lives under the poverty line, that is, living on a daily wage of less that $1.25 per day. There are many communities in rural areas who struggle everyday for drinking water, primary education, medical care, and other basic amenities of life. Urban areas are no better, big cities have multiple slum areas, immigrant population living in inhuman conditions with no money to survive. They also face similar challenges as rural people. These communities whether in rural areas or urban areas, are just neglected and spend their life in the vicious circle of Poverty. The lack of education is one of the core problems being faced by India currently which leads to other social issues likes, Poverty, Unemployment, Women Abuse/ Inequality, Domestic Violence, Overpopulation and Inadequate Healthcare. All social problems are interrelated with root cause been lack of education and rapid increase in population. There is a lot volunteers can do to help these communities and underprivileged people. IECE volunteers work hand in hand with local NGO’s, IECE team members and other social organizations to provide support to underprivileged and destitute communities to bring in a sustainable change. Volunteer in India with IECE and get a fulfilling experience of bringing a positive change in people’s life. With our programs you get rewarded back with beautiful smiles of children, blessings of old people, content on faces of community people and dreams in eyes of young minds. Another reason to volunteer in India with IECE is to avail the benefit of our experience in organizing various cultural activities which connect volunteers with local communities and culture in depth. We ensure that all our volunteers make most out of their volunteering experience by combining their volunteering stint with various cultural activities and travel to historical places over weekends while being in India. The culture of India is one of the oldest and unique. In India, there is amazing cultural diversity throughout the country. There is hardly any culture in the world that is as varied and unique as India. India, considered as one of the oldest living civilizations, with traditions dating back to back to 8000 BC and a continuous recorded history since the time of the Vedas for over 5,500 years, is the birthplace of the four major religions of the world Hinduism, Buddhism, Jainism and Sikhism. The South, North, and Northeast have their own distinct cultures and almost every state has carved out its own cultural niche. India is a vast country, having variety of geographical features and climatic conditions. A combination of these factors has resulted into an exclusive culture- Indian culture. Indian culture is a composite mixture of varying styles and influences. In the matter of cuisine, for instance, the North and the South are totally different. Festivals in India are characterized by color, gaiety, enthusiasm, prayers and rituals. In the realm of music, there are varieties of folk, popular, pop, and classical music. The classical tradition of music in India includes the Carnatic and the Hindustani music. India, a place of infinite variety, is fascinating with its ancient and complex culture, dazzling contrasts and breathtaking physical beauty. Among the most remarkable features of India, is the arts and culture in particular. The Indian culture has persisted through the ages precisely for the reasons of antiquity, unity, continuity and the universality of its nature. Thus within the ambience of Indian culture one can identify 'Indian Music', 'Indian Dance', 'Indian Cinema', 'Indian Literature', Indian Cuisine' 'Indian Fairs and Festivals'. 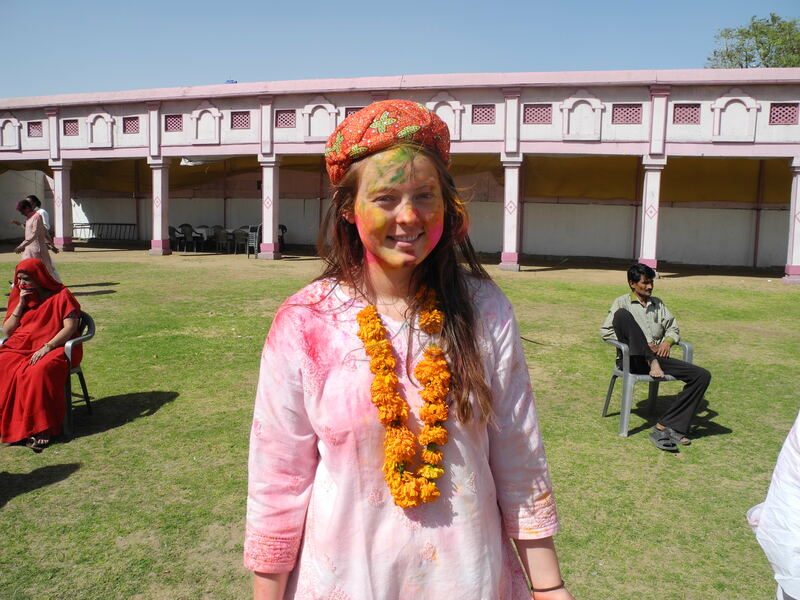 While volunteering with IECE, volunteers get a chance to explore India and its unique diverse culture.